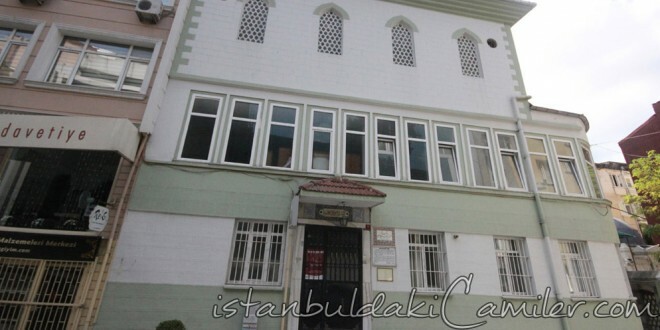 Sultan Bayezid II (1481-1512) had this mosque buılt at the start of 16th century, in the name of His Excellency Seyyid Emir Ahmet Buhari who was an eminent Islamic scholar and a descendant of Muhammad (PBUH*). Its minbar was later build for Bayram Pasha, one of the grand viziers of Sultan Murad IV. The mosque in the state of disrepair f due to fires it has seen was rebuilt by the help of benevolent people and by the mosque’s vivification and protection association The supposed sceptre, fez, saddlebag, sword and its sheath of His Excellency Emir Buhari are preserved in the mosque. His Excellency Emir Buhari rests in the tomb built in the threshold of the mosque. This plain tomb which is built of face stones with square design has a single dome. The symbolic casket (sanduka) Of His Excellency Emir Buhari is in the tomb. In its threshold, there are graves belonging to Nakşibendi Dervishes.